This post was originally published November 22, 2014. We have done very little renovating or minimizing over the past couple of months. 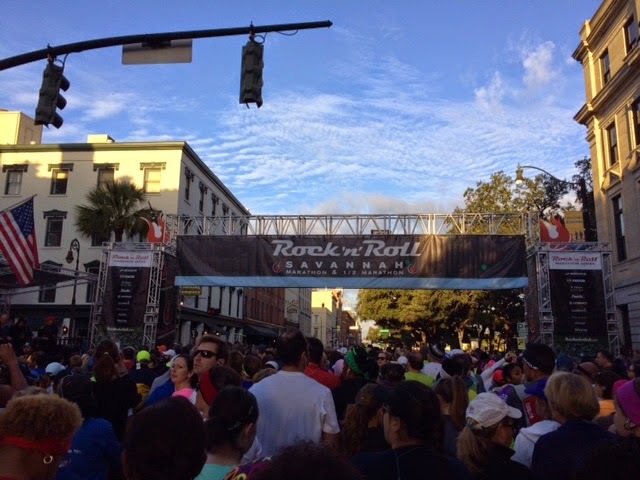 Last spring, I competed in the Cherry Blossom Ten Mile Run in Washington, D.C. About a week later, in a residual runner’s high, I registered for the Rock ‘n’ Roll Half Marathon in Savannah, Georgia. To that end, I spent most of my summer weekends either completing, or recovering from, long runs. Needless to say, this did not leave a lot of time, or energy, for home projects. The race was on November 8, and I had an absolute blast! 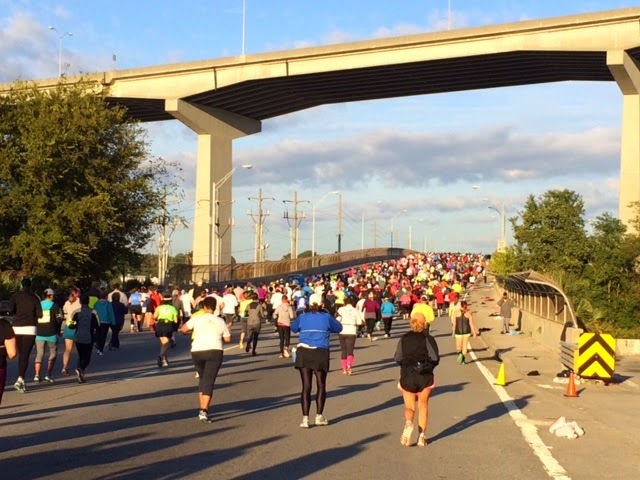 The course wound through historic Savannah, and was flat as a pancake, except for one bridge at mile 1. I had a time goal of sub-3 hours. I ran with the local Fleet Feet pace group, led by a wonderful woman named Crystal, and finished in 2:59:19. Hurray! I have a few races planned over the next few months, but the longest is a 15K in February. I want to get some of the many projects that we have started, or that we have planned, completed, and I can’t do this if I am out running 14 miles on the weekends. Following the half marathon, I renewed my commitment to decluttering, minimizing, and simplifying. This morning, I spent some time going through the pile of papers on the dining room table. Most got tossed or recycled, and now there is a clean space to work on some Christmas gifts that I am making. I am continuing my journey into minimalism, reading everything that I can get my hands on, subscribing to blogs devoted to the subject. My favorite is Joshua Becker’s blog Becoming Minimalist. I subscribed a few months ago, but just recently went back to the very beginning of his blog, to follow his journey from the start. It inspired me to document my own journey into minimalism within this blog, in addition to our home renovations and projects. And for anyone looking for a wonderful, minimal Christmas gift, Courtney Carver is offering 31 Gifts That You Deserve, delivered daily to your email box. I have subscribed for my husband and I. We are going to try to give each other experiences rather than things this Christmas, as part of our move away from consumerism. Somehow, even though I haven’t had as much time as I would like to go through everything, just knowing that someday it will be out if our house has allowed me to mentally let go of all the feelings associated with all that junk. It’s freeing, or at least the beginning of freeing. I already feel better just having made the decision to get rid of stuff – now, I just have to actually get rid it!